On social media, many Pakistanis reacted to the court’s decision with a mixture of sarcasm and dismay. #ValentinesDay is not a part of our 'culture'. All great love stories incl SassiPunnu, HeerRanjha etc are from the East. 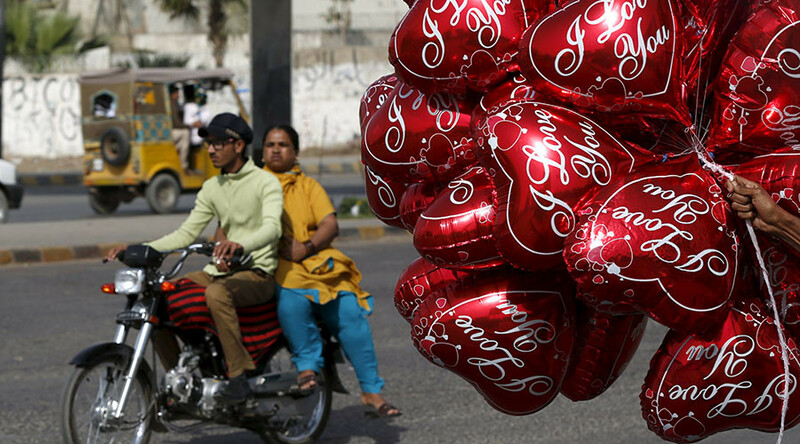 Valentine’s Day has a mixed following in Pakistan. In big cities, restaurants, delivery services and bakeries often come up with Valentine's Day promotions, but there are also “Haya Day” campaigns by conservative students which promote traditional Islamic modesty. Last year, President Mamnoon Hussain said that Pakistanis should avoid celebrating Valentine’s Day as it is a Western tradition that has nothing to do with Pakistan’s Muslim culture. Valentine’s Day is a tradition that may have had its origins in an ancient Roman fertility festival and was subsequently adopted by the Catholic Church to commemorate one or more Christian martyrs named Valentine, who were persecuted in the Roman Empire. It is now a day for celebrating love and romance in many parts of the world.